Here's everything we know about the upcoming OPPO F7. 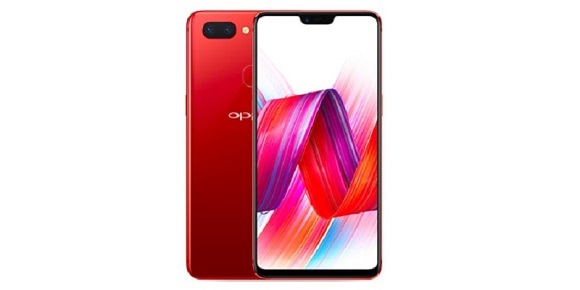 OPPO F7, the successor to last year's OPPO F5, will come with an iPhone X-like notch, as well as AI-backed features, similar to other handsets that have been announced earlier this year. OPPO F7 is expected to rock a 6.23-inch Full HD+ Super Full Screen display, with 2280 x 1080-pixel resolution. The smartphone will have a 19:9 aspect ratio and 88% screen to body ratio which enables the OPPO F7 to have a large screen packed on a small body, comparable to a standard 5.5-inch screen handset. Thus, there's a lot of real estate for your entertainment and multimedia consumption. On the flip side, the OPPO F7 stands out in the crowd with its eye-catching glossy back design. On the camera department, we know that OPPO has always capitalized on selfies with its F-series. Thus, it is no surprise that this will be a selfie-centric smartphone, having the improvement on the front camera as one of its biggest highlights. It has also been revealed earlier by OPPO India, that the OPPO F7 will be equipped with a 25MP selfie camera sensor, which features AI selfie, AI Beauty, as well as real-time HDR technology. Additionally, the smartphone is expected to offer pre-loaded Cover Shot as well as AR (Augmented Reality) stickers. OPPO has not shed light on other specifications of the upcoming flagship, however, sales pitch of the OPPO F7 leaked online. The selfie camera will have AI beauty Technology 2.0, Vivid Mode, and supports real-time preview and group selfie beautification. AI Beauty Technology 2.0 with 8 million beauty effect database and 290+ full feature points to capture stunning selfies, and adds beauty to your neck and arms. Vivid Mode. It is said to enhance color saturation. It makes the background more colorful, and beautify your skin with the AI beauty technology. Real-time preview. What you see in the preview is what you get in your actual photo. Group Selfie Beautification. This software enhancement recognizes each person's facial information, while giving different beautification options to every person in the same image. OPPO F7 will be powered by MediaTek Helio P60. The P60 brings MediaTek's NeuroPilot AI technology to the heart of your smartphone. Its AI-compute architecture works seamlessly across CPU, GPU, and Mobile APU within the SoC to maximize performance and energy efficiency. It is equipped with 3400mAh battery which allows you to play for 15 hours. In the meantime, let's wait for the official launch on March 26 in India to obtain the full details of the upcoming OPPO Flagship - the OPPO F7.